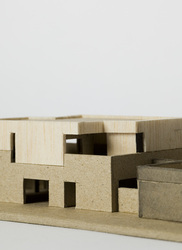 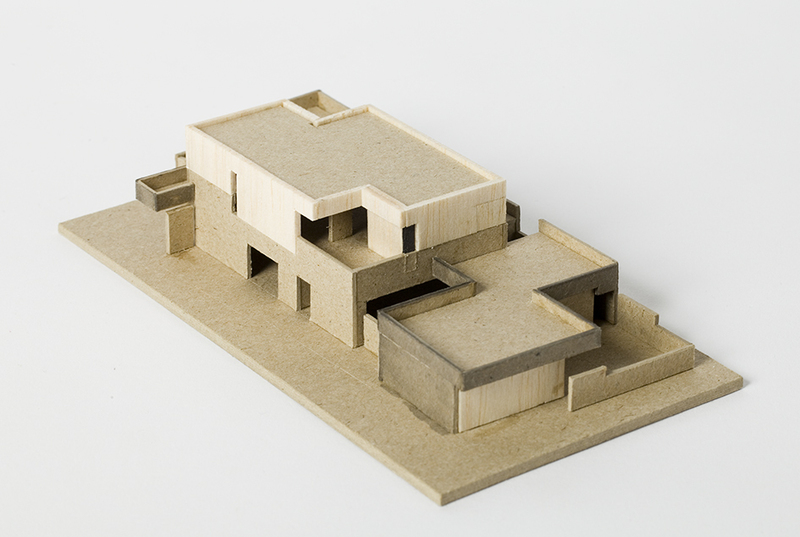 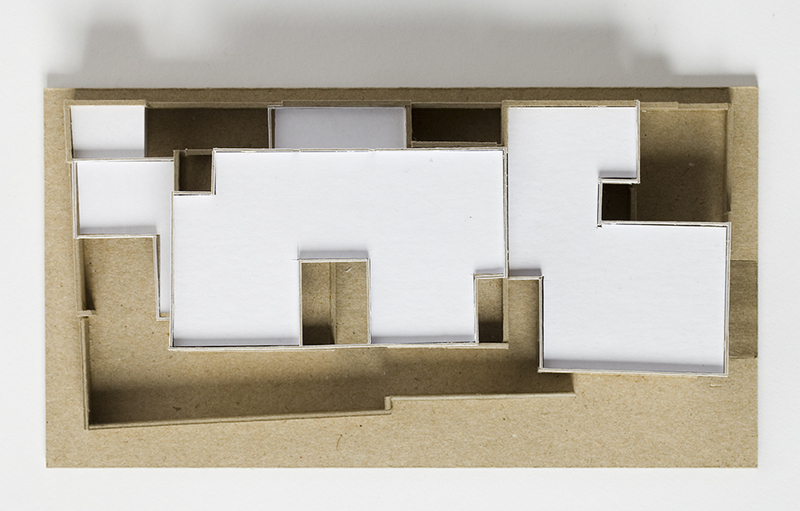 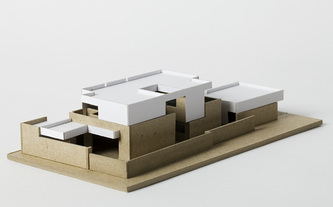 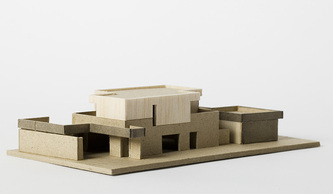 The proposal grew from an investigation of the wider context and a general propensity to box things. 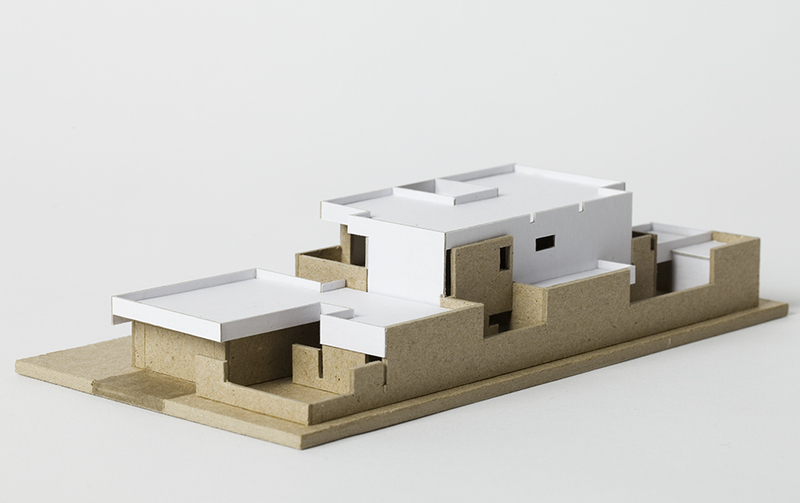 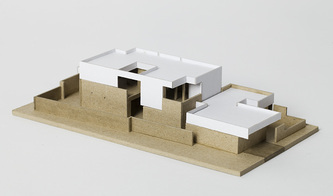 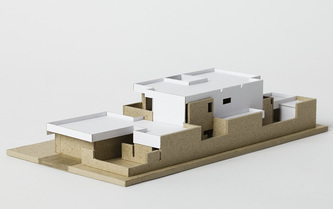 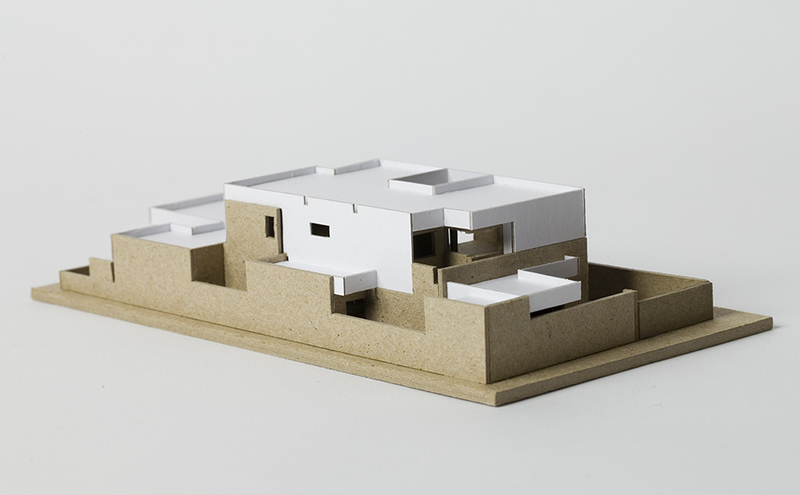 The form of the project can be seen as a rectangular volume that has been carved out to respond to sun, wind and view with a central courtyard providing northern light into the centre of the plan. 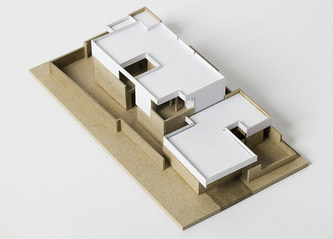 The general arrangement of the plan also aims to capture the established surrounding greenery. 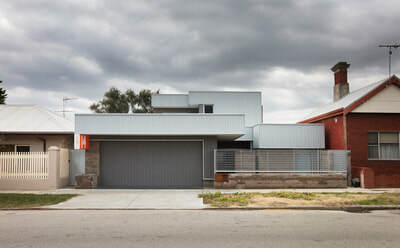 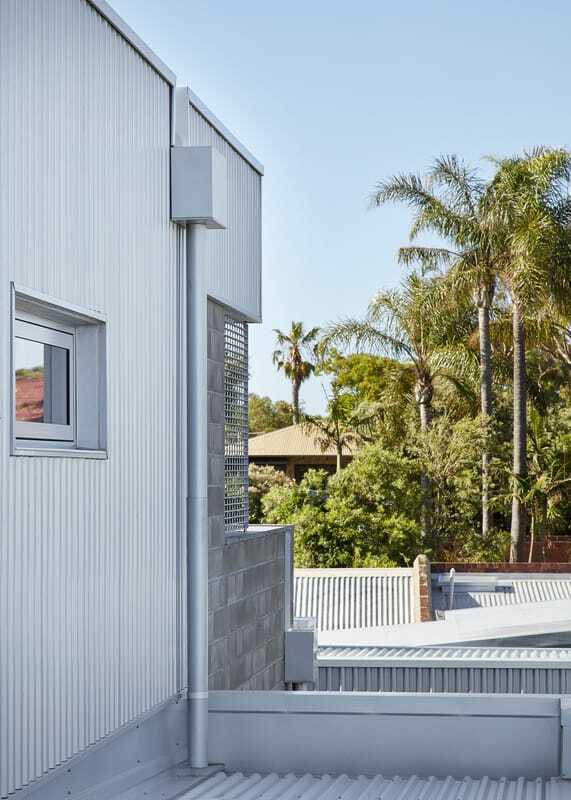 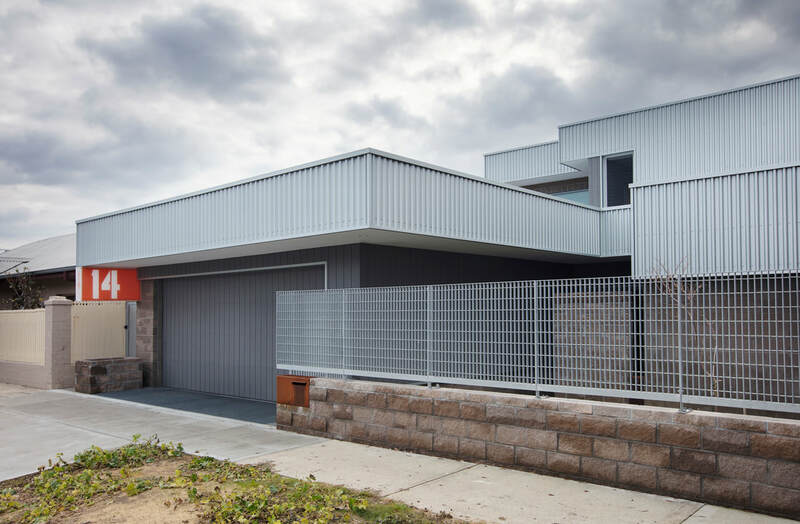 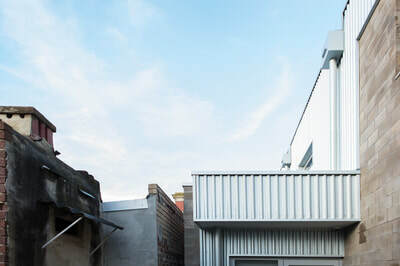 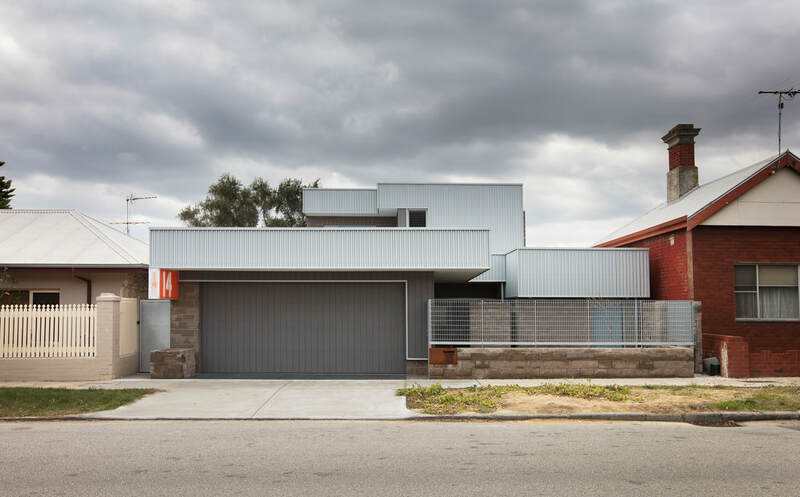 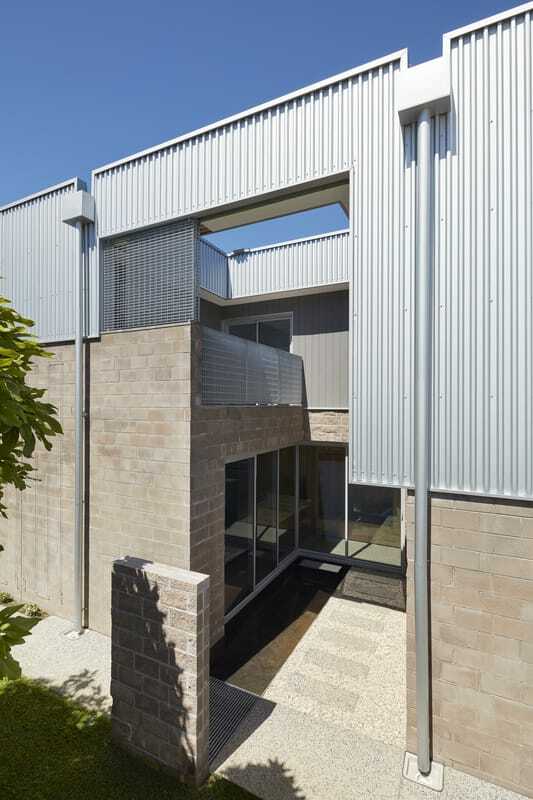 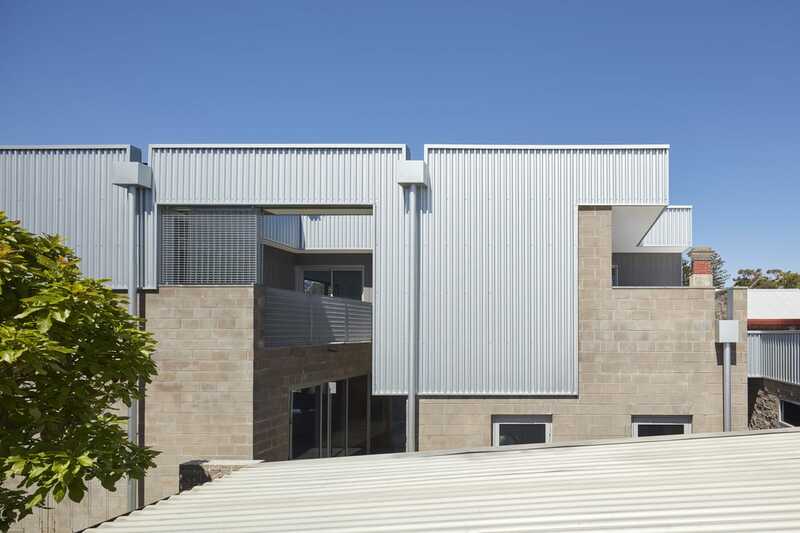 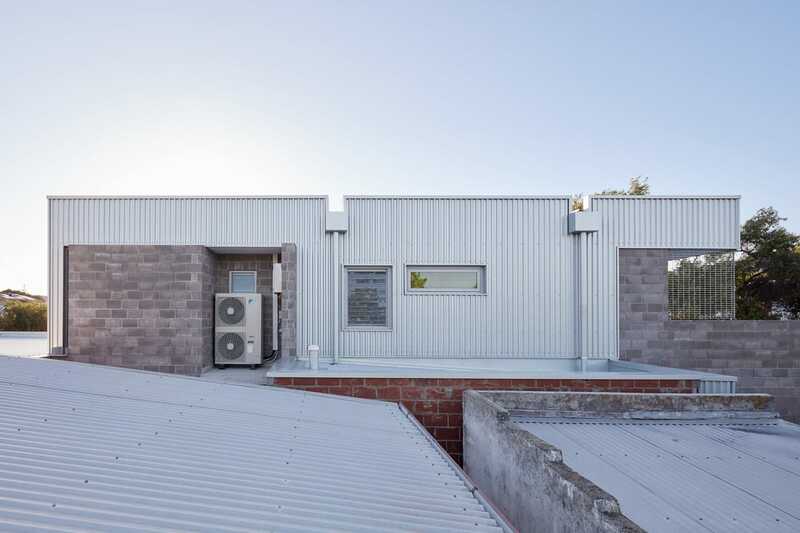 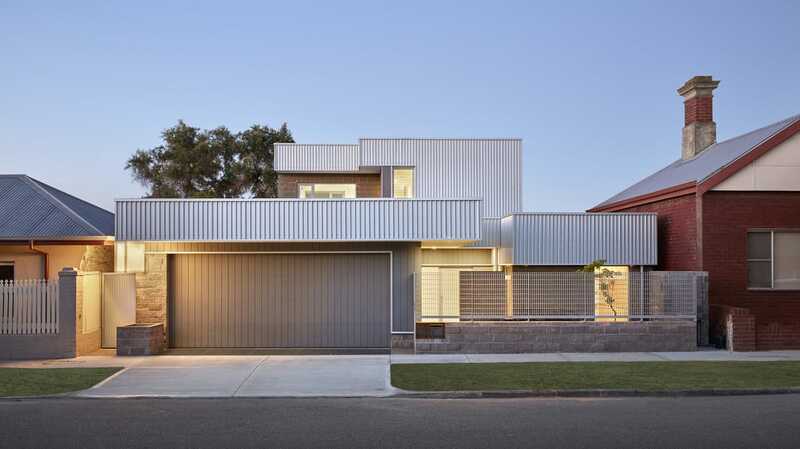 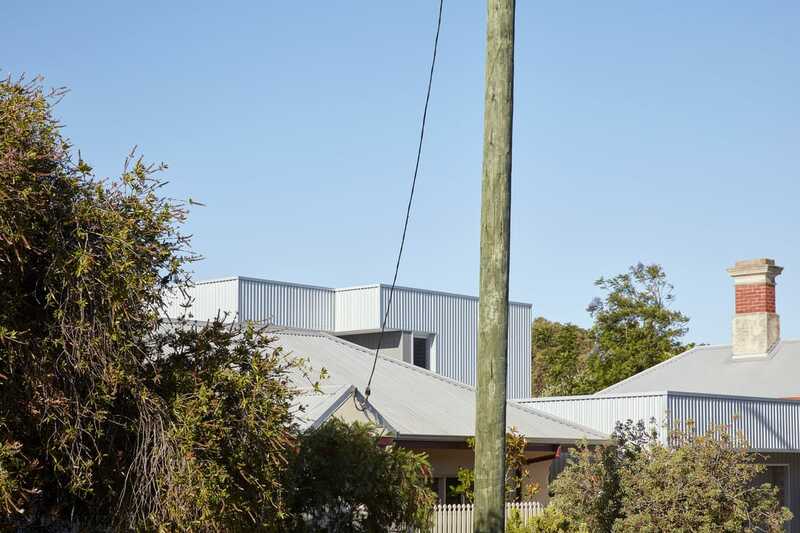 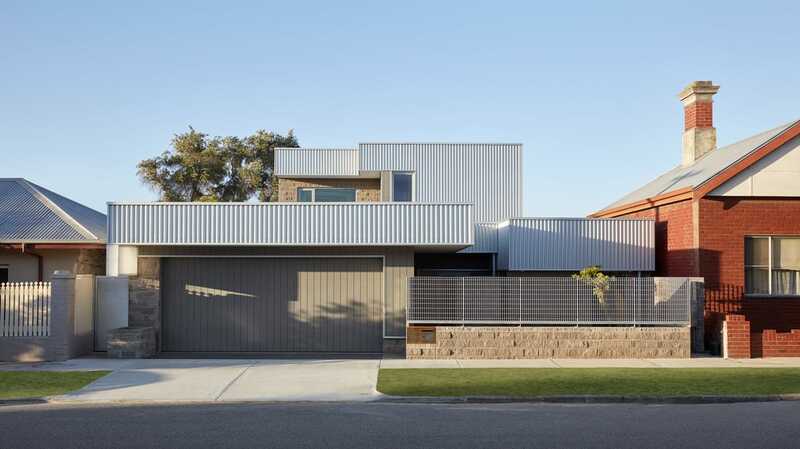 Its materiality is designed to reflect the familiar local combination of brick and corrugated iron and the clients' desire to achieve an industrial aesthetic externally. 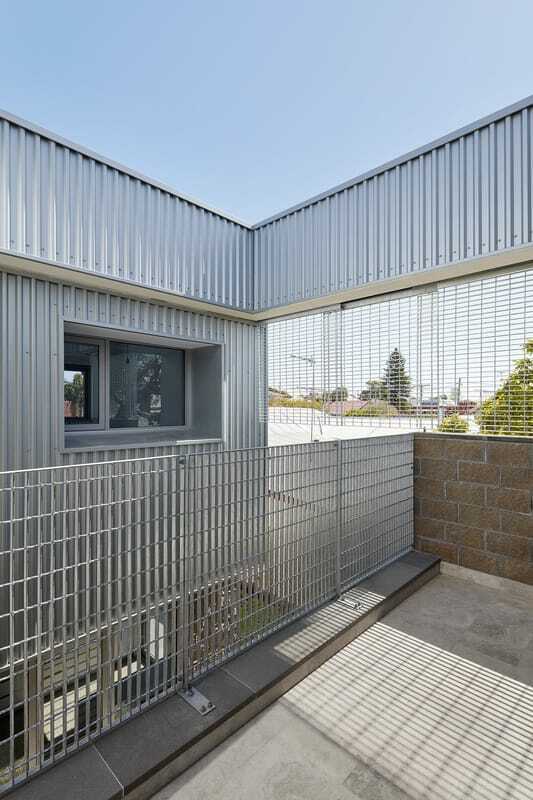 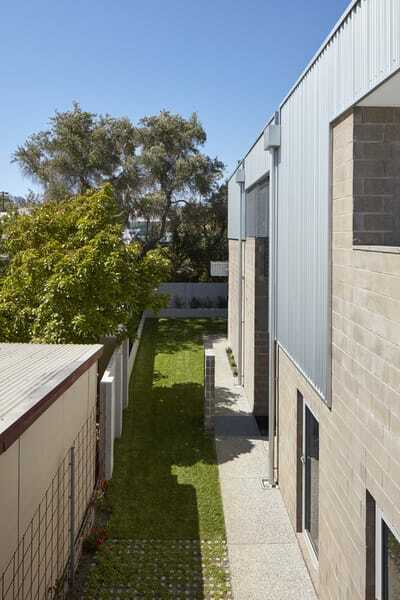 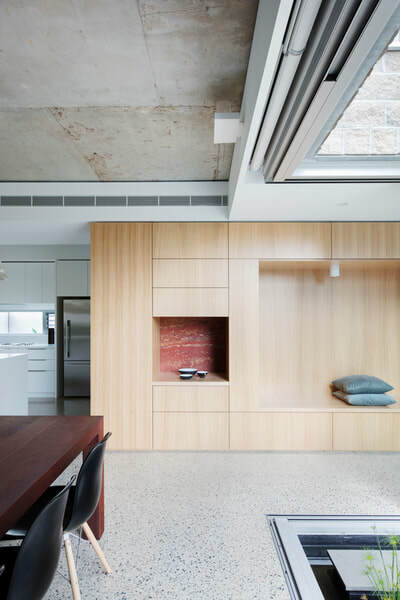 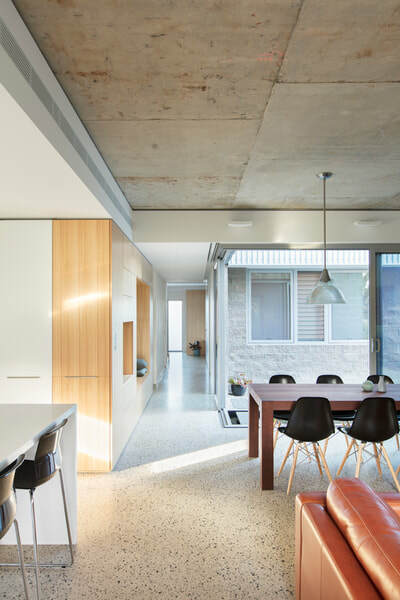 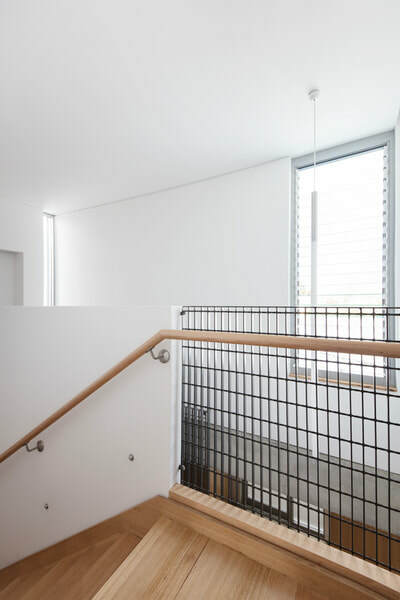 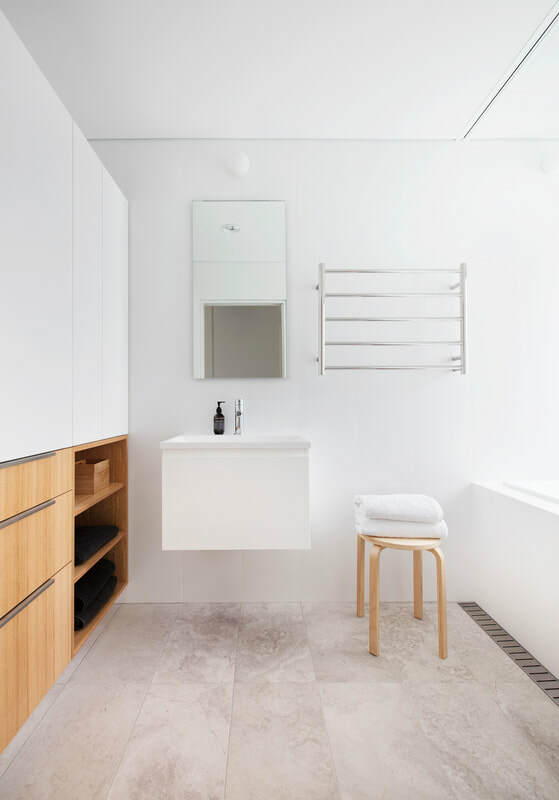 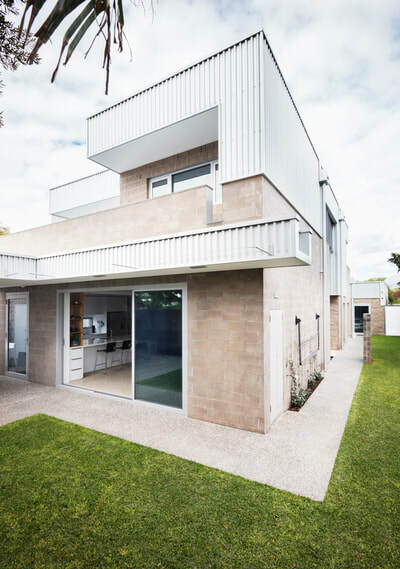 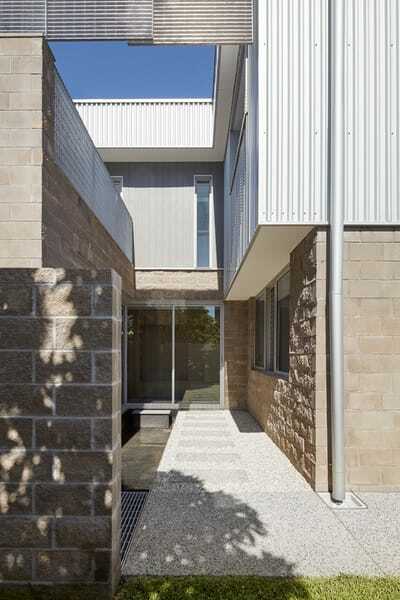 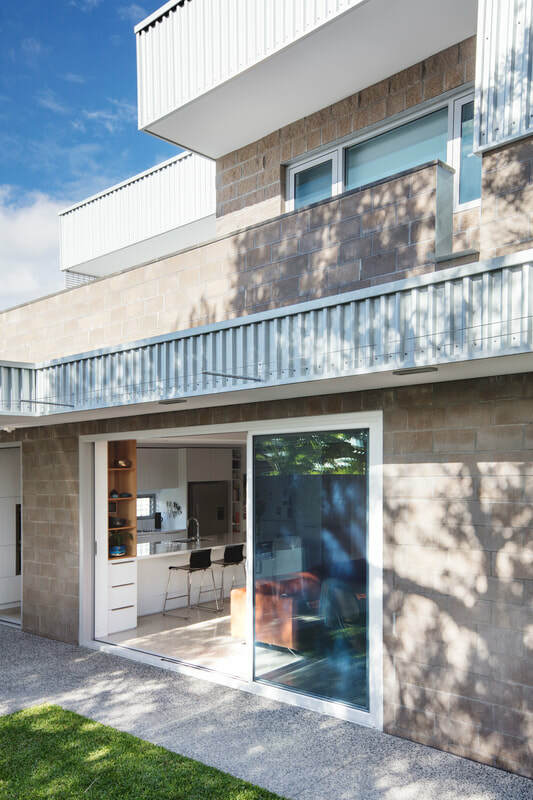 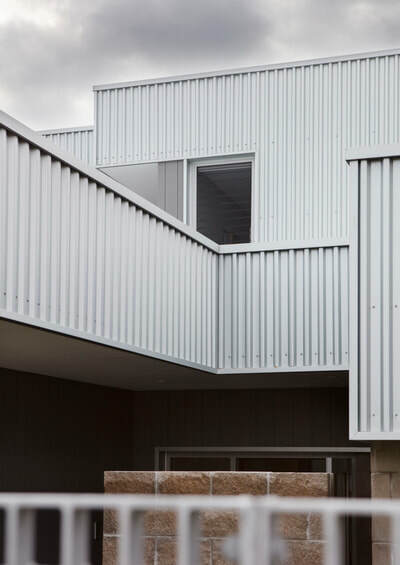 Internally a number of robust materials where selected including polished concrete flooring, concrete block work, galvanised steel balustrades and stone tiles in wet areas and the terrace. 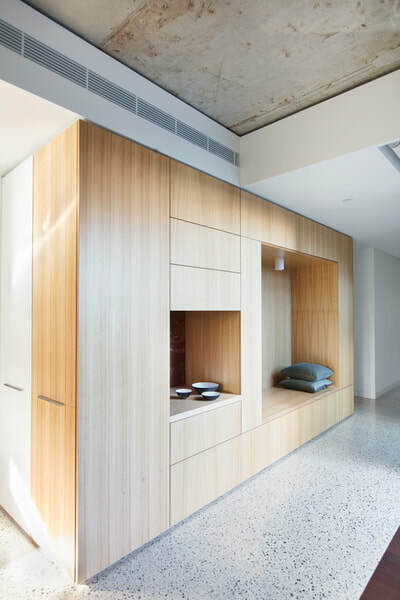 To soften this palette Victorian Ash timber was selected for the joinery. The building incorporates a number of passive heating and cooling strategies. 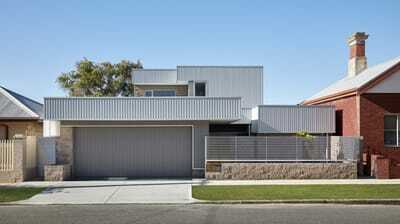 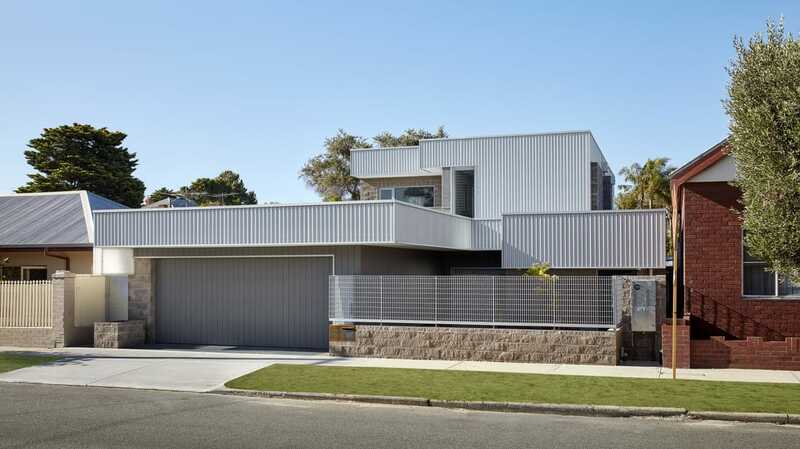 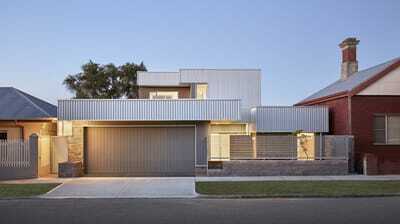 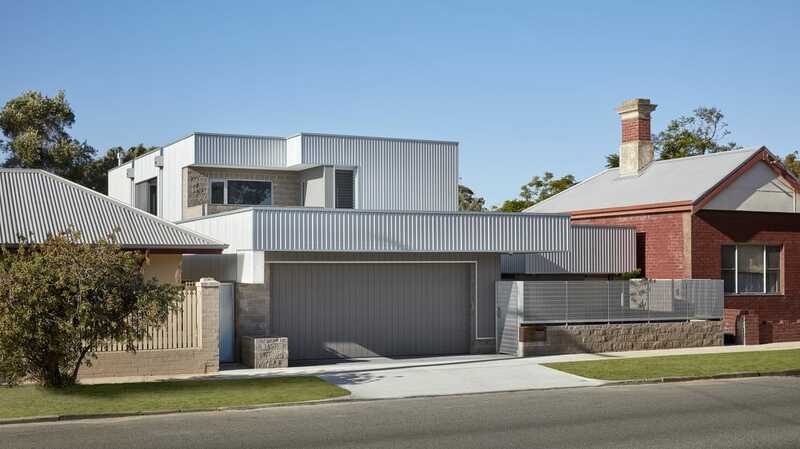 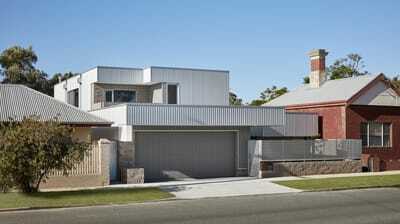 It is constructed from reverse brick veneer to provide adequate thermal mass (heat sink). 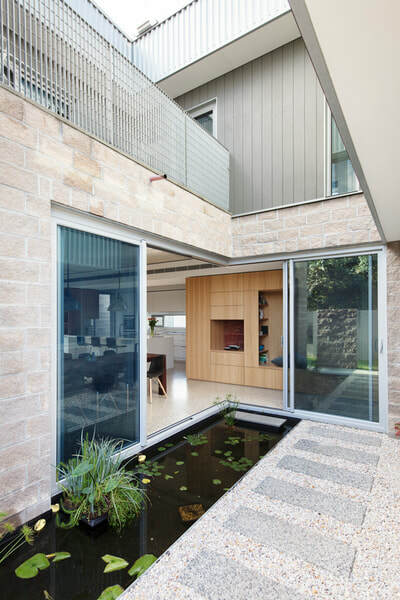 The project employs ground-source hydronic under-floor cooling, with a closed-loop circulation function for passive temperature distribution between floors, whilst evaporative cooling is provided by a pond in the central courtyard. 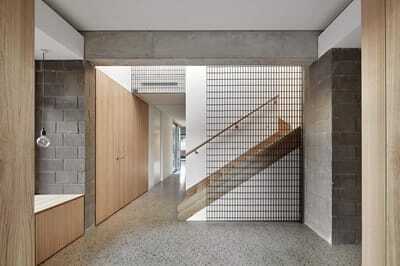 Operable louvers and ceiling fans also optimise ventilation internally.